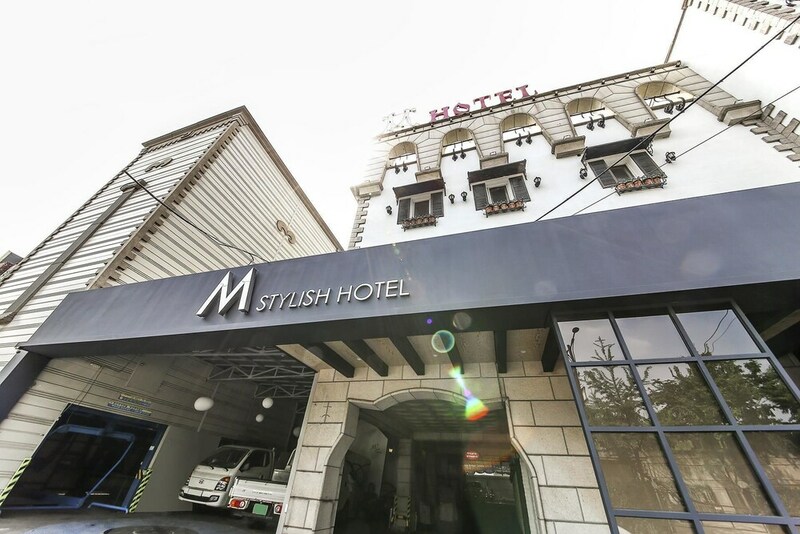 With a stay at M STYLISH HOTEL, you'll be centrally located in Seoul, convenient to Sejong University Museum and Korea University. This motel is within close proximity of Children's Grand Park and Konkuk University. Make yourself at home in one of the 48 air-conditioned rooms featuring refrigerators and free minibar items. Computers with complimentary wired and wireless Internet access are provided to keep you connected, along with 40-inch LED televisions for entertainment. Private bathrooms with bathtubs or showers feature bidets and hair dryers. Conveniences include desks and electric kettles, as well as phones with free local calls. Grab a bite from the snack bar/deli, or stay in and take advantage of the motel's 24-hour room service. Mingle with other guests at the complimentary reception, held daily. Quench your thirst with your favorite drink at the bar/lounge.